These staggering numbers speak for themselves. Starbucks has taken its successful offline branding to its online platform. How do they do it? Let’s find out by evaluating their social media performance for 2017. This Starbucks report was put together using Unmetric Analyze. It listens to over 100,000 brands to help our clients create more engaging content, get more certainty around their social strategy and automate their reporting. Starbucks added 710,000 new Facebook followers in comparison to 53,500 fans that the average Restaurant & Cafe Page from North America gained. Quite interestingly, Starbucks posted only 158 times on Facebook during the time period, i.e. 3 times a week on average. So, how do they manage to engage their audience with their ‘less is more’ strategy? The answer being – they know what their customers want. From Zombie Frappuccinos to Pumpkin Spice Latte, Starbucks has managed to create a cult following for their various offerings. Even though the brand does not post that often, whenever they do, there is a frenzy around it. The brand posted more photos than any other type of content and they had the highest engagement as well. The photo content mostly involved updates about their latest products. Some of Starbucks’ popular drinks are seasonal and the beverage’s periodic recurrence generates major buzz on their social media. These posts are bright, colorful and quirky, an image that the brand maintains throughout its Facebook page. The 84 photo posts generated more than 4.2 million likes and 547K shares. The brand promoted 127 posts i.e. 80% of the total posts, accounting for more than 6.1 million likes and 822K shares. It can be seen that the brand always promoted posts involving limited-time deals and offers which in turn resulted in very high engagement for these posts. Starbucks uploaded 60 videos and promoted 51 of them. The product videos that received high engagement included relaunches of their beverages and videos that featured Starbucks employees making their famous brews. The coffee brand also promoted the second season of their video campaign ‘Upstanders’. The original series featured stories of ordinary people from America who made a difference to their communities. The 11 videos teasers that were released received high engagement, with the video below receiving over 53,000 shares. Starbucks also uses its Facebook page to promote limited-time deals and offers. 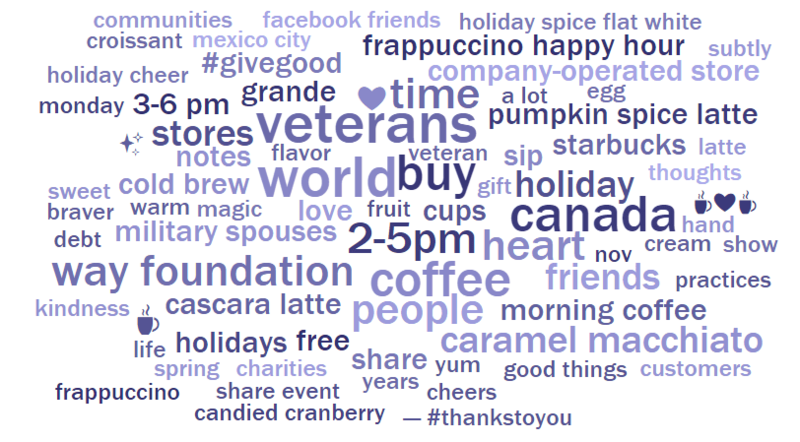 From the word cloud below, which has been created from Starbucks’ social media content, it is evident that these posts receive high levels of engagement. Starbucks’ core social strategy can be encapsulated in their CEO Kevin Johnson’s words, “Loyalty remains the cornerstone of our digital flywheel”. The coffee brand devotes its efforts to communicate with their customers and has undoubtedly become a fan favorite. 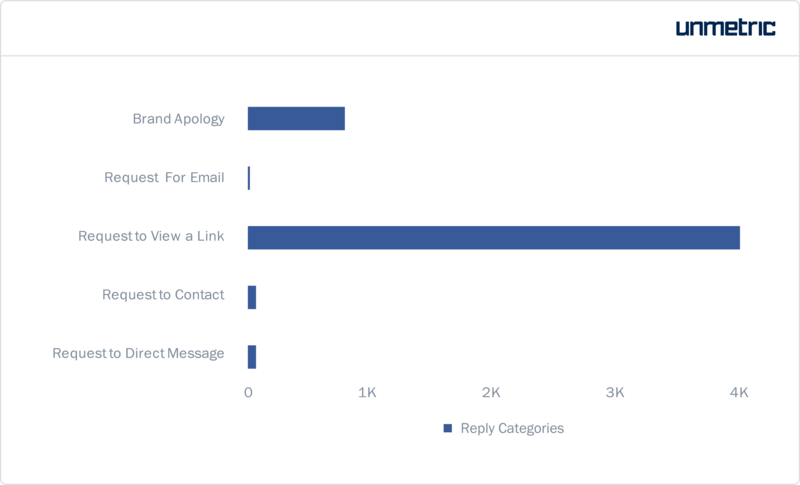 The brand responded to 95% of the conversations generated by the 158 Posts they published, receiving 100% positive sentiment from their audience. Fans initiated 23,600 conversations on their Facebook wall. Starbucks participated in 9% of these conversations. They appear to participate more when fan conversations on their wall have more positive vibes than usual. Starbucks definitely understands the importance of engaging on Twitter. Not just the fact that they have nearly 12 million followers, they ‘get’ social media. Twitter has become an extremely convenient platform for customer service. Starbucks mainly uses Twitter to engage with their audience. They tweeted 57,000 times and added 134,000 new followers. 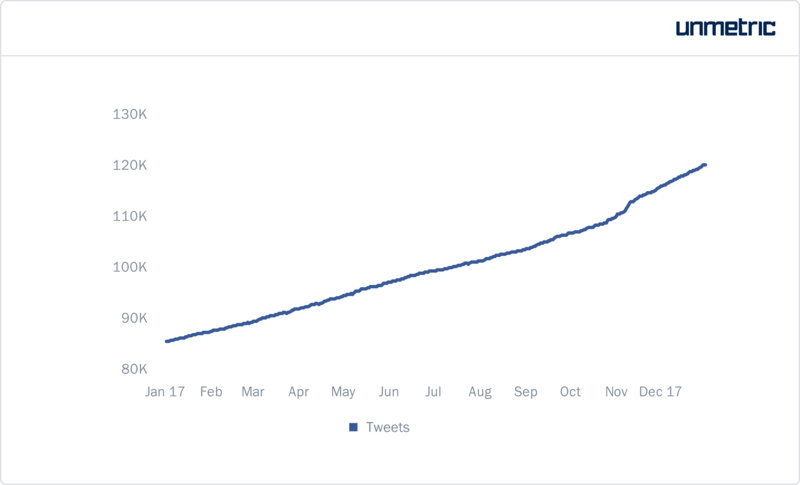 On average they sent 155 tweets per day with 99% of their tweets being replies, which gives an indication of what they value the platform for. The proactive tweets by the brand showcased their products, predominantly through fan-submitted images. But, they used different content for Twitter, avoiding cross-posting on multiple channels.They also effectively used different types of media, like photo collages with witty headlines, videos and gifs. They have focused their Twitter strategy on sharing the experiences of their followers, and it has only helped them grow their account. The brand does a great job at showcasing their followers by retweeting them and interacting with them. They use the featured tweets function to highlight their customer’s messages. Their relatable tone of voice and sense of humor makes their tweets a fan favorite. Celebrity mentions always help a brand, and Starbucks is no different! The brand was mentioned by high-profile celebrities like Ellen DeGeneres, Demi Lovato, Niall Horan and Nick Jonas who have a combined following of more than 260 million! The Ellen DeGeneres Show revealed Starbucks as the new sponsor for their show’s VIP Skybox. This resulted in a fun Twitter exchange between the brand and Ellen. Starbucks leveraged their sponsorship of the show by getting mentioned during the airtime as well as afterward. The brand makes sure that almost all of their customers are heard and responds to messages, whether it’s negative or positive. They take the time to reach out to each customer and make them feel appreciated and a part of the Starbucks community. Out of a total of nearly 34K replies, the brand replied to more than 11K tweets within 1-6 hours. The reply rate peaks twice throughout the day, at 9 am and 3 pm. But, the brand replies to queries from 6 am to 1 am (EST), on all days of the week. On average, Starbucks replied to user tweets in 14 hrs. Sorry we didn’t reply sooner, we must just be “Two Ghosts” swimming in the same of Cold Brew! Starbucks’ Twitter genius cannot be established without talking about their official Twitter accounts for Starbucks Pumpkin Spice Latté, with 112K followers and Frappuccino with 202K followers. These Twitter accounts have a celebrity status among internet users. They exist solely to share the news about their respective products and is only active during their seasonal debut every year. The tables have turned for social media, as brands like Starbucks are making products specifically designed for Instagram. Their photogenic, vibrant, Instagram-friendly Unicorn Frappuccino was an instant hit on the platform. In 2017, Starbucks enjoyed a 26% growth in followers as it gained nearly 3.3M new followers. They posted 240 posts of which more than 77% were photos. Starbucks regularly posts pictures of its products, but usually in unique and attractive settings. Colorful lifestyle posts that capture the essence of coffee culture, along with witty captions and artsy stop-motion videos of its products, creates a consistent imagery for the brand. Their product-centered posts are one of the most engaging types of content on Instagram, as detailed in our latest study. The brand engaged the best between 9 AM-10 AM – perhaps all those people standing in line, waiting for their coffees, fire up Instagram to see what Starbucks is doing! However, the brand posted the most between 11 AM – 12 PM. Interestingly, this corresponds to the findings from our detailed report, which suggest that the best time to post photos is between 11AM-12PM. The brand performed fairly consistently on all days of the week, engaging the best on Sundays. Starbucks uses hashtags to create excitement among users, transforming their customers as content creators for the brand. The brand curated 15 hashtags which it used to drive engagement. Some of their most engaging themes were #icedcaramelmacchiato, #IcedCoconutMilkMochaMacchiato and #pinkdrink. Starbucks has 153K subscribers on YouTube and uploaded a total of 89 videos. The brand has used a variety of videos to engage its fans and followers. Their YouTube strategy generally involves showcasing product-related videos, videos based on life inside Starbucks stores, its original content series ‘Upstanders’ and even an animated series ‘1st & Main’. One of their most engaging videos is a one minute video featuring various veterans as a part of their wider campaign of hiring veterans and military spouses. The video garnered 2.6 million views and also contributed to political conversations regarding the subject. They also launched a campaign called ‘Good Feels Good’. It included 7 video spots ranging from 30s-60s featuring a diverse group of people. Different versions of the video were designed for the brand’s website, Instagram, Facebook and YouTube. Their animated series, ‘1st and Main’ was released during the holiday season in 2016, when coffee chain collaborated with three writers from The Simpsons to create a series inspired by real Starbucks stores, customers and baristas and their everyday stories. The video below, featured in the series, is among their most viewed content with 430,763 views. Their concentrated video efforts managed to translate into subscriber growth. The brand registered a higher growth rate of 24.8% than the median Restaurant & Cafe YouTube Channel from North America with 21.5%. 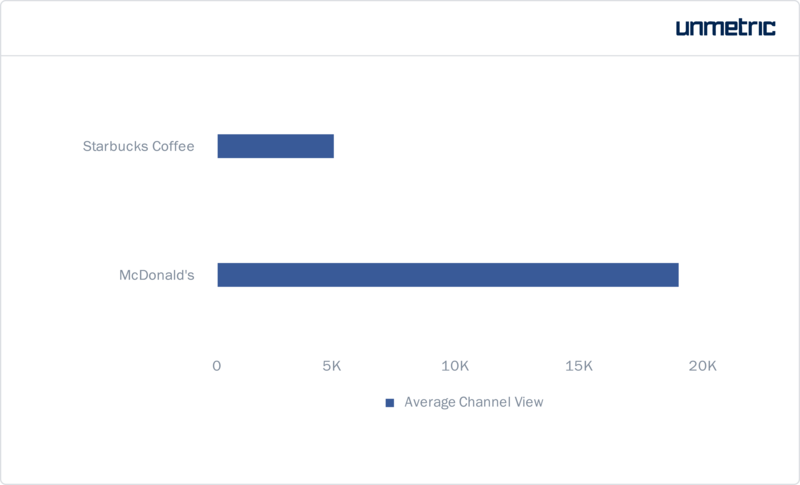 But, by benchmarking against their major competitor McDonald’s, we see that even though Starbucks saw growth in subscribers, they had the lowest average channel views. Despite uploading more videos than McDonald’s, Starbucks received limited engagement on their videos. Why is Starbucks always in the news? Being an internet-savvy brand has its pros and cons. Starbucks has been a perennial target because it has never shied away from talking about issues and topics that could be seen as divisive to some. #BoycottStarbucks has been a hashtag that has floated around on social media channels for some time now. In January 2017, the company announced its decision to hire 10,000 refugees in five years after Donald Trump’s executive order temporarily barring refugees access to the US. The move was met with a lot of support as well as backlash, leading to #BoycottStarbucks trending again on Social Media. The coffee chain responded to the backlash by announcing that as part of the refugee hiring plan, they would initially focus on hiring those who have served with U.S. troops as interpreters and support personnel abroad. We’re committed to hiring veterans, too. Several years ago, we set a goal to hire 10,000 by 2018 and we’re close to reaching it. In August 2017, Starbucks was the target of a hoax in which the coffee chain would supposedly give out free coffee to undocumented migrants in the US. The company immediately took to Twitter, replying to multiple users and denying any such campaign. We’re sorry but you’ve been misinformed. Starbucks is not sponsoring any such event. The brand was caught in yet another controversy during the holiday season. They released their newly designed, annual holiday cup with a video that proclaimed “the holidays mean something different to everyone.” Even though the video itself did not garner a negative reaction, some viewers saw it as a reference to the inclusion of gay and transgender customers. Buzzfeed fueled the debate, paving way for an angry online backlash from conservatives. Starbucks did not confirm the legitimacy of these claims, but responded positively to a tweet supporting the cause. It’s a ‘thing’ to post pictures of the coffee you’re drinking or the food you’re eating on social media. Starbucks does exactly that. Their iconic coffee cups are presented in a context which their customers can relate to – by a beach side, the city square or in the comfort of your room. By encouraging users to tell their own stories centering around their Starbucks cups, the brand has established itself as a part of their customer’s everyday life. Starbucks aims to show that its product is more than just coffee. Their social media pages do not push dull, overly commercial product posts, but instead creates a narrative for the products. The brand prioritizes personal experiences of their customers and the shared moments. By focusing on the user experience than just the product, the brand manages to promote itself as a lifestyle. Across its various social media channels, Starbucks sells one thing – ‘the Starbucks lifestyle’. The artsy, stylish, but minimalistic approach of their posts is reflective of their brand personality. They manage to put forward a consistent imagery and tone that has helped them build a coherent brand identity. 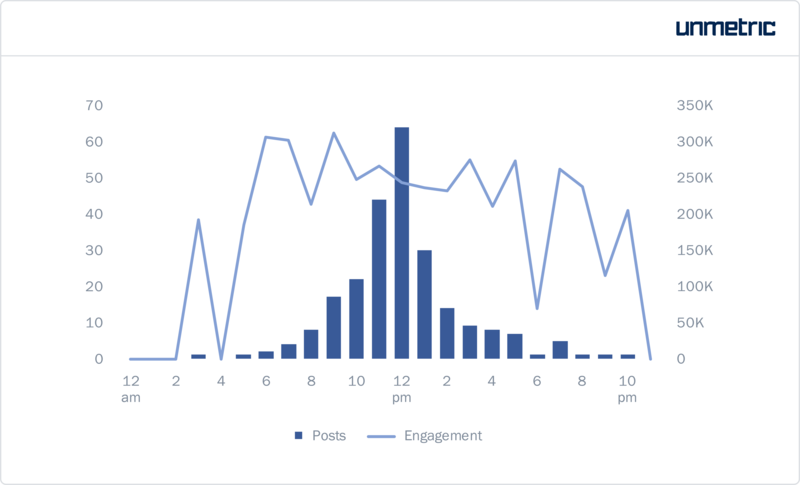 Starbucks treats their different social channels differently in terms of posting frequency. It maintains a higher posting frequency on Instagram than on Facebook and Twitter, but is astute and responsive in case of Twitter replies. Overall, they prioritize quality over quantity. Customer is King for Starbucks.The brand is a great example of utilizing user-generated content. Starbucks often reposts photos from their fans. User-generated photos drive high engagement for the brand. They even carried their user posts as Facebook cover pictures! One of the main reasons for Starbucks’ success on social media is in how they build their brand image around both themselves and their audience. Starbucks embraces all kinds of feedback and consistently engages with their customers. Their personalized replies and friendly-tone shows that they listen to and care about their customers. By being willing to take customer suggestions and ideas, they build their user’s confidence in their company. Starbucks has featured social media campaigns that were great examples of digital storytelling. The brand published human interest stories that had nothing to do with their coffee. Real-life stories tend to connect with consumers in a profound way that creates a positivity surrounding the brand. Emotional connection has been known to be a key driver of brand awareness and loyalty. This also enhances the authenticity of the brand. Starbucks and their seasonal staples have a fan culture of their own. By launching an exclusive product that is offered during a specific time frame, season, or holiday, they build a hype around their products that keep their audience talking. Starbucks has been extremely successful in building a momentum around their products on social media. Starbucks has been successful on social media by aligning its marketing efforts with its core brand strategy of building a strong brand identity with a loyal customer base. 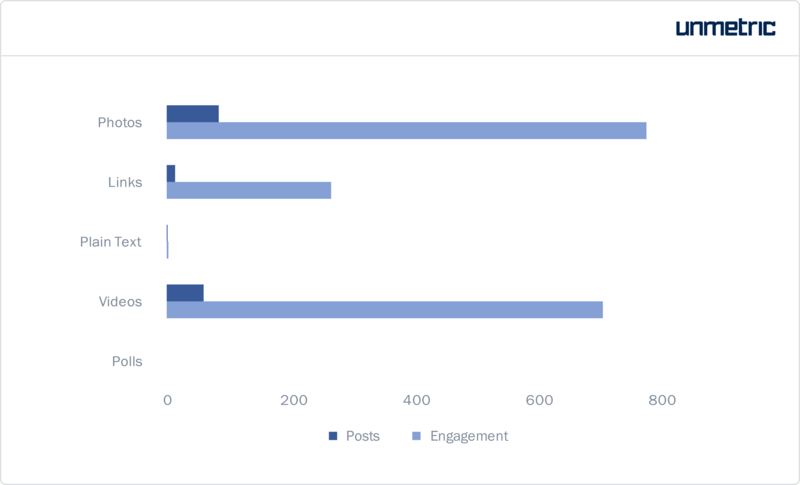 If you admire Starbucks’ strategy and want to evaluate your social media marketing plan, be sure to track your efforts with Unmetric Analyze.